The storm—currently located over the Gulf of Mexico—is sweeping toward the Florida coast at around 12 miles per hour and is expected to make landfall on Wednesday, bringing with it "life threatening" storm surges and heavy rainfall, the National Hurricane Center said. "It is a monstrous storm and the forecast (keeps) getting more dangerous," Florida Governor Rick Scott said. "The time to prepare is now." 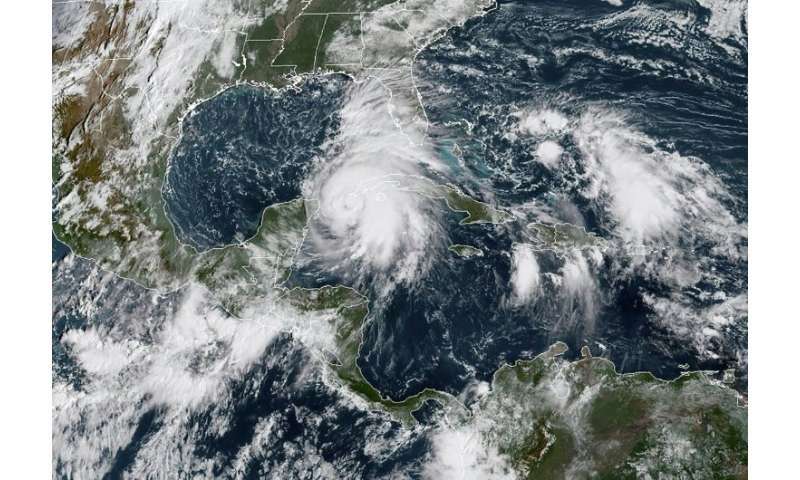 It "poses a deadly threat and as it grows stronger, we can expect it make landfall as a major Category 3 storm," said Scott, warning that it "could bring total devastation to parts of our state, especially in the panhandle." A hurricane warning was up across the Florida panhandle, a low-lying area of beachfront resort and retirement communities on northeastern Gulf coast. Forecasters warned of coastal flooding with storm surge and tides projected to raise water levels by as much as eight to 12 feet in some areas. 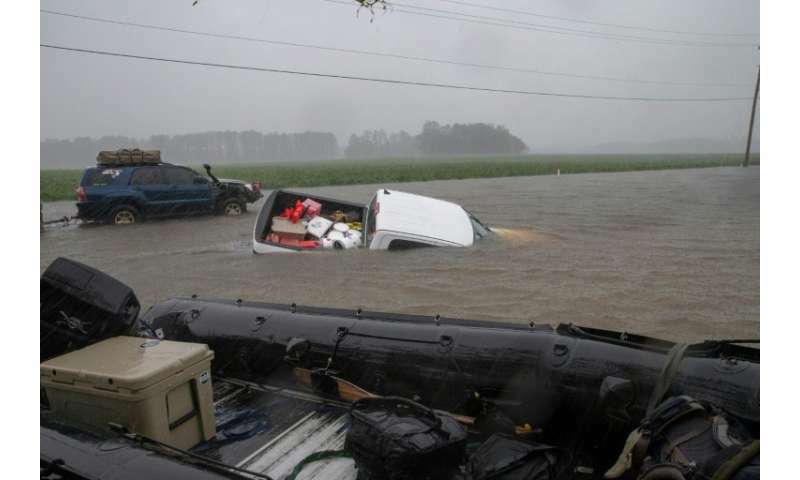 Rainfall of four to eight inches, and as much as a foot in isolated areas, "could lead to life-threatening flash floods," according to the NHC, which also warned that the storm's approach could spawn tornados in northwestern Florida. 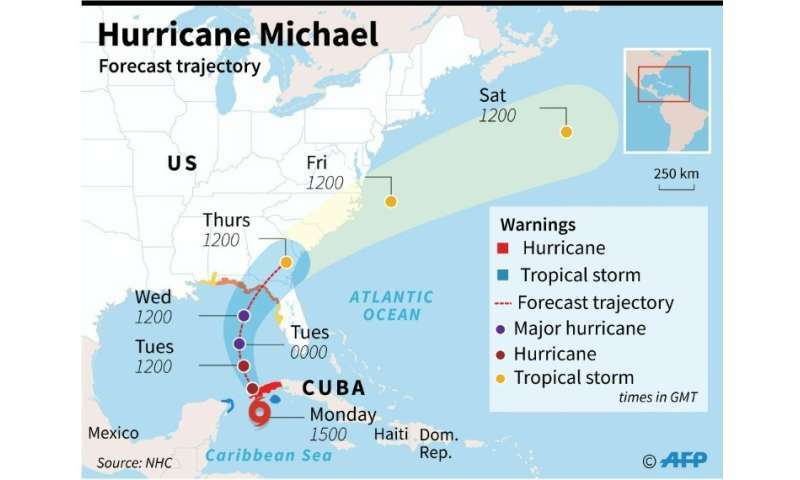 Michael was forecast to have the power to uproot trees, block roads and knock out power for days by the time it hits Florida Wednesday. It is expected to weaken as it moves up into the southeastern United States. President Donald Trump, who was in Orlando delivering an address on Monday to a global association of police chiefs, said the federal government was ready and urged residents to be prepared for the worst. Last year saw a string of catastrophic storms batter the western Atlantic—including Irma, Maria and Hurricane Harvey—causing a record-equaling $125 billion in damage when it flooded the Houston metropolitan area.